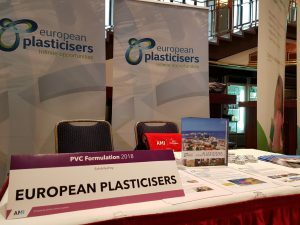 19 April 2018: European Plasticisers could not miss the 10th edition of the PVC Formulation Conference that took place in Cologne from 10 to 12 April. 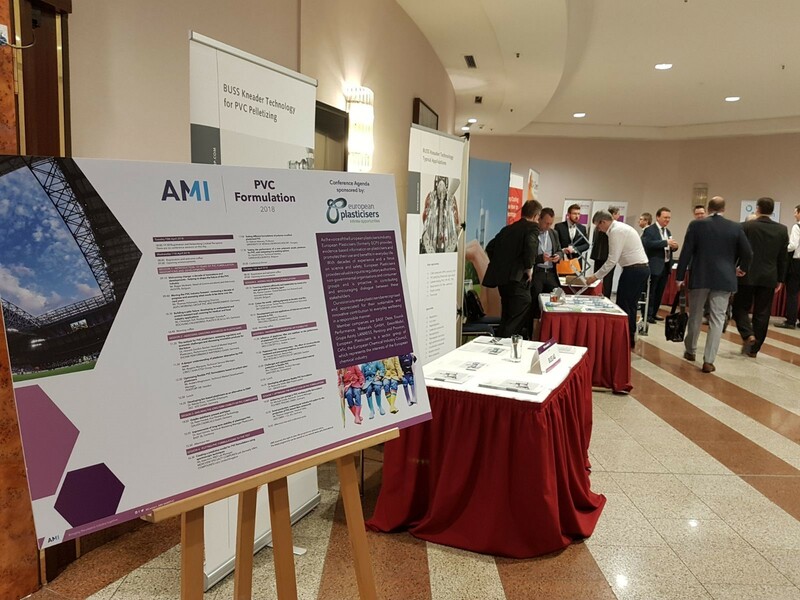 We sponsored the event with a booth and the agenda poster, and met with over 250 representatives of the PVC industry, including associations, additives and resins producers, as well as converters from Europe and beyond. 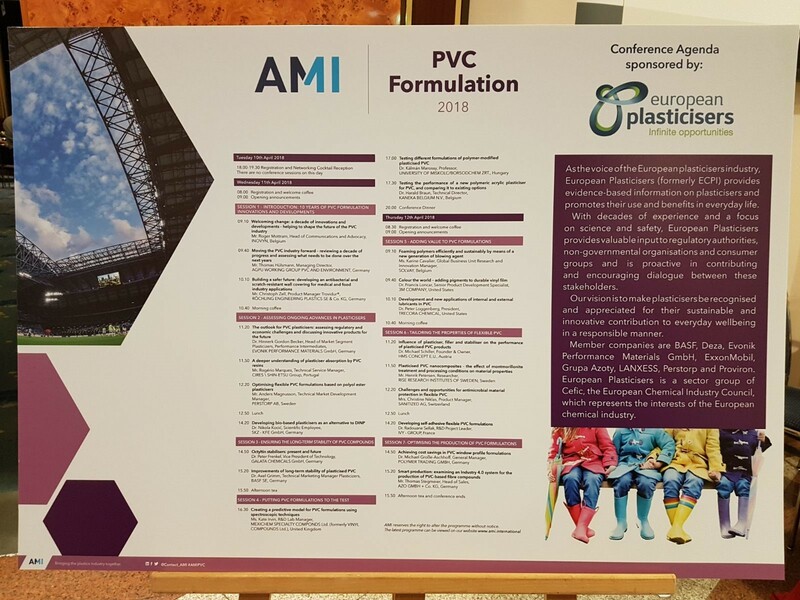 High-level speakers illustrated the latest innovations in the world of PVC, with a focus on flexible vinyl, highlighting the continuous research and capacity of the industry to understand and adapt to evolving needs and trends. Industry’s longstanding experience, deep knowledge of technologies and regulations as well as the attentive choice of plasticisers for each specific need, leads to important developments in terms of design, performance and sustainability, whilst complying with the regulations and sticking to the highest safety standards. As highlighted several times during the conference, this results to a myriad of applications bringing huge benefits to our everyday life. From cables to flooring, from medical devices to geo-membranes, flexible PVC can be the enabler of technological progress, lifesaving solutions and sustainable development. 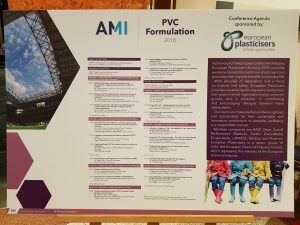 And next to the more traditional, well known applications, flexible PVC is becoming a source of inspiration for artists, architects, engineers. 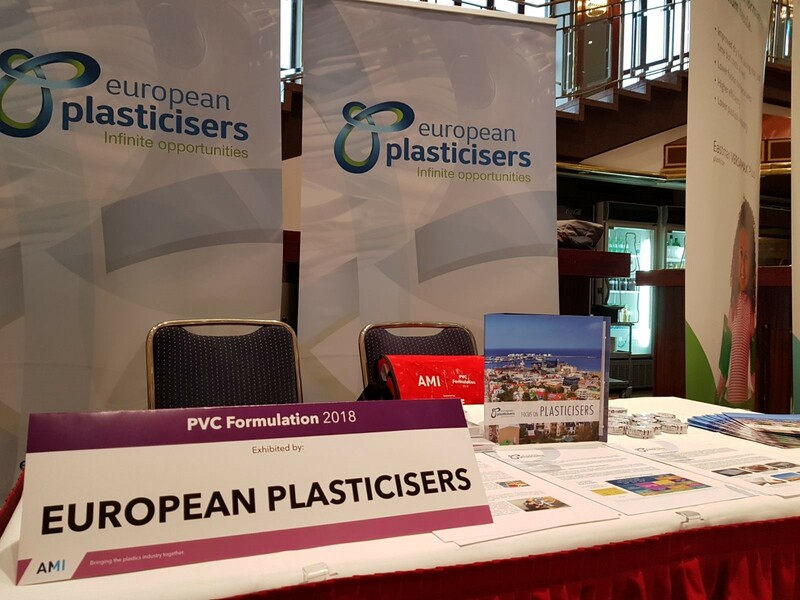 They are becoming more and more aware of the durability, recyclability and sustainability of PVC and are bringing to life outstanding creations in the fields of construction, fashion and design, to name a few.